Call For Computer Course, Doeacc CCC, University Course. For Computer Center Franchises & Doeacc CCC Certification. We Provide to Student Government Certificate, Mark sheet, Bag, Book, I-Card & Other Examination Material. We are Providing to Center - Flax Banner, Bag, Admission Forms, Receipt Book, Authorize Certificate, Book Set, Exam Receipt Book, Visiting Card, Online Student registration, Online student Result, etc. 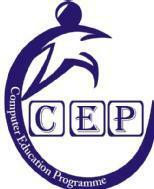 X Cep Education conducts classes in Animation & Multimedia, Autocad and Computer Course. It is located in Adraj Merda, Kadi. It takes Regular Classes- at the Institute and Online Classes- via online medium.